Did you receive your Garnier Fructis Free Sampler Pack that we blogged about earlier? They have started arriving and I noticed another freebie found inside that I wanted to bring to your attention. Inside the sampler box there is a card with information on how you can get yet another freebie! 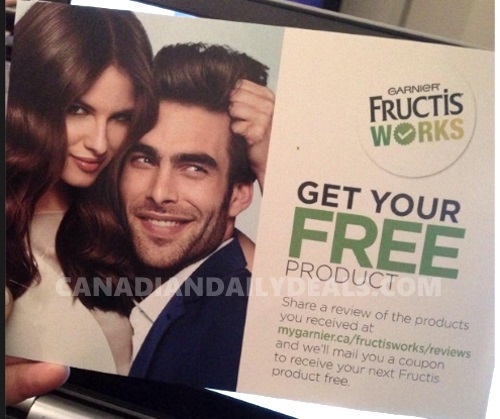 Write a review for the products that you received at the link on the card (also found below) and Garnier will mail you another coupon for another free Fructis product! Available while quantities last. I suggest doing the review as soon as you try the products so that you don't miss out on this! Please note, the Garnier Grow Strong sampler packs are still available (at time of this post).